This week marks the 50th anniversary of the bombing of a Birmingham, Alabama church by Klu Klux Klan that left four young girls dead. The Hallmark Channel is honoring this tragic, and historic, event with their original TV movie, The Watsons Go To Birmingham. The TV movie is based on the novel Christopher Paul Curtis, which earned him both the 1996 Newbery Honor and Coretta Scott King Honor Award. 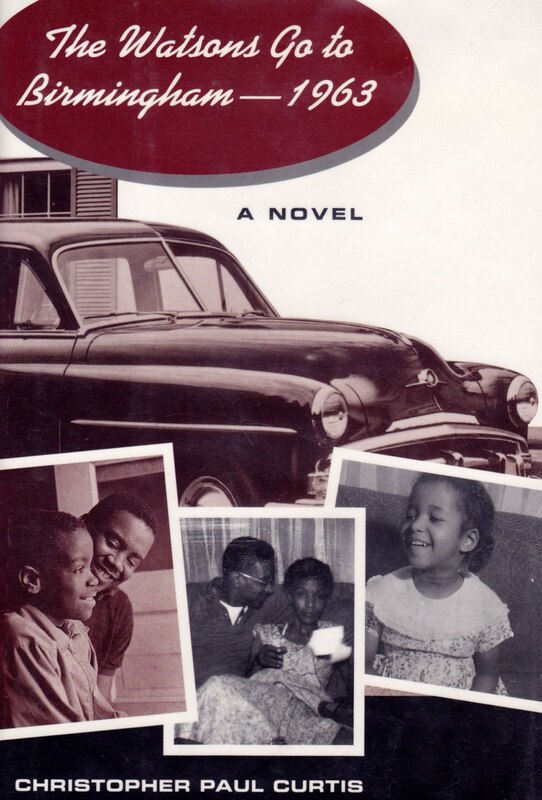 The story, based in 1963, is about the Watsons, an African American family living in Flint, Michigan who take a summer vacation to Birmingham (Mrs. Watson’s hometown). The Watsons have three children: Byron (a trouble-maker of the 15-year-old), Joetta (an angelic 8-year-old) and Kenny (a bookish 11-year-old), who serves as the story’s narrator. As in the book, the movie nicely balances a family drama with the larger historical story, although the adaptation doesn’t fully achieve the novel’s emotional depth or character development (understandable since it condenses the book into not-even a 90-minute film) so young fans of the book may come away a little disappointed. Still, there is much to recommend with the Hallmark adaptation. The movie offers a wonderfully warm portrait of a family who loves one another although they may fuss and fight some. The actors make it feel like this is a real family with Dreamgirls’ Anika Noni Rose (as the mother) and The Wire’s Wood Harris (as the dad), in particular, showing a fine chemistry together. The child actors are fine too (Disney Channel fans will recognize Skai Jackson as Joette) although their characters are a little thinly drawn and the nerdish Kenny brings to mind the old sitcom character Urkel. This Watsons’ family story, however, serves as an excellent way to introduce the larger social/historical story about segregation and the Civil Rights movement. It provides a good vehicle for elementary school age kids to learn more about this turbulent time in American history. The film makes strong use of archival footage, as well as black & white recreations, to ground the story in the hard realities of life in the South at that time and to offer a glimpse of why the Civil Rights movement arose. Director Kenny Leon also does a good job (particularly without the benefit of a big Hollywood budget) with the final act’s big dramatic sequence (which I won’t give away). 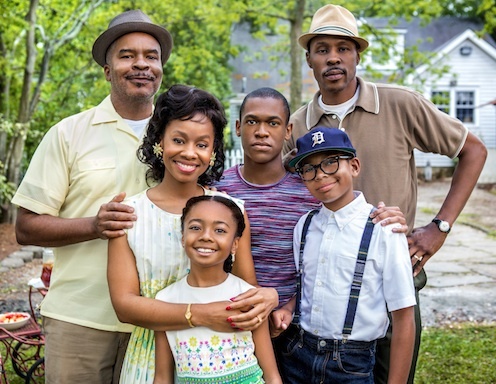 This family story succeeds in being a film that families can watch and enjoy together while learning a little more about what America was like in the early Sixties at the start of the Civil Rights Movement. Older kids (and adults) who want to know more about what took place at the 16th Street Baptist Church on September 15, 1963, might want to check out the Oscar-nominated documentary 4 Little Girls, which Spike Lee made in 1997. The Watsons Go To Birmingham premieres on the Hallmark Channel on Sept. 20 at 8 p.m.
A quartet of classic Danny Kaye movies are now available on iTunes from Paramount Home Media. The four films are: the Oscar-nominated Red Nichols biopic The Five Pennies (1959), the musical comedy On the Double (1961), the caper/comedy Knock on Wood (1954) and The Court Jester (1955), which is one of his quintessential performances as a bumbling but sweet performer. Out of this foursome, The Five Pennies probably is most adult (although it also features an appearance by Louis Armstrong) and The Court Jester serves as the best introduction to Kaye. These releases are part of the Danny Kaye Centennial celebration and this year also is the 60th anniversary of Kaye being the UNICEF ambassador (not only was he a hilarious performer but he was a great humanitarian too). Angelenos with a big sweet tooth have more to love at the Grove. 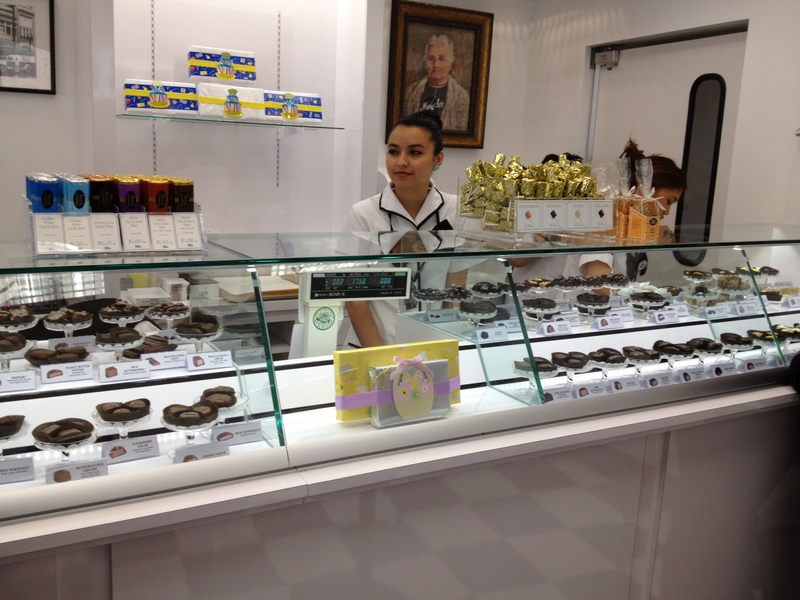 On Friday, local confectionery legends See’s Candies opened up a shop on Bow St. next to the Whisper Lounge. This opening comes just months after Sprinkles popped up in a nook by the Grove’s parking structure and Dylan’s Candy Bar arrived from New York back in September. Coupled with the Grove veterans the Cheesecake Factory and Haagen-Dazs plus the Farmer’s Market’s offering of Dupar’s pies, Short Cake’s, Bob’s Doughnuts, Bennett’s Ice Cream and Short Cake treats –it makes for a paradise for dessert devotees. See’s Candies, 189 Grove Dr., L.A. (as well as other locations); sees.com. daily. 10 a.m-9 p.m. Mon.-Sat., noon-6 p.m. Sun. Somewhere between slapstick vaudeville and elegant cirque artistry exists the world of Circus Oz. The “Oz” here isn’t referring to the place where Dorothy visited but to Australia, and this unconventional circus troupe definitely reflects that country’s off-the-beaten-path sensibility. 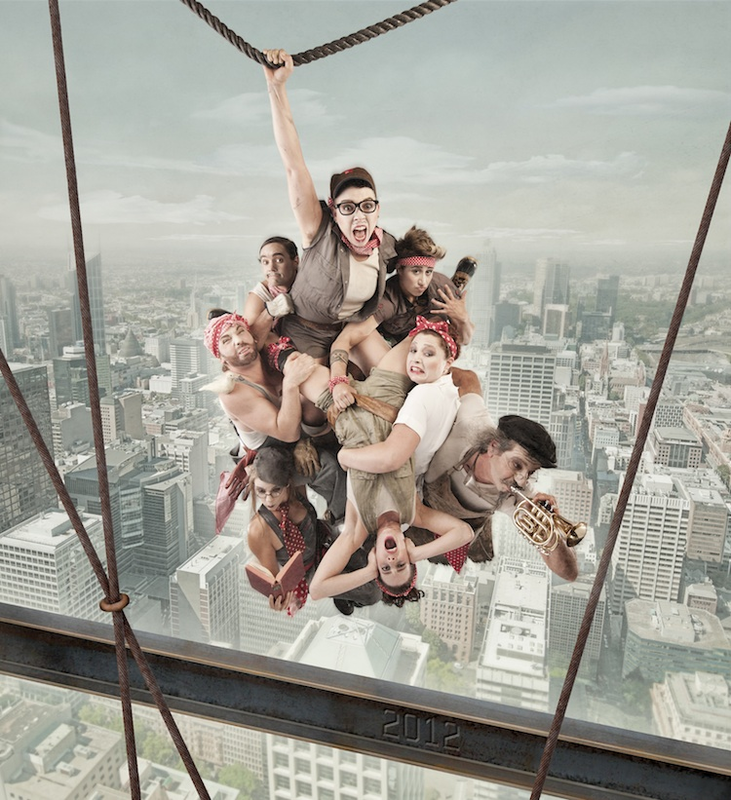 Their current production, From The Ground Up, is set on a construction site and offers a general theme of needing teamwork to build something – and what they build is a marvelously entertaining show (2-hour including an intermission) populated with rock ‘n’ roll baton action, a swinging drum pendulum, a human jump rope, a comically inept magician and a roller-aerobics instructor with an attitude. The performers’ goofiness can overshadow their tremendous skills and the show’s casualness masks how just well staged it is. That is until there are “ah” moments (and I won’t give away too many acts) where gravity is defied or clumsiness turns graceful. Spunky and spirited, clever and, yes, corny, this wonderfully rollicking family-friendly entertainment (probably best for 7 and older) will be at Royce Hall through Sunday. For ticket information visit cap.ucla.edu. Parental Advisory Movie Review (films about families but not family movies): 56 Up – The latest edition on the landmark documentary series offers a wonderfully engaging look at being 50-something. The new documentary 56 Up is the latest installment in the impressively long-running Up Series of documentaries that Britain’s Granada Television started in 1964 with 7 Up. A fore-bearer to today’s Reality TV, these documentaries have followed a set of people (originally 14 kids) beginning at the age 7 (an age inspired by the famous quote: “Give me a child until he is seven and I will give you the man”) and returning at 7-year intervals. Not only is this a remarkable cinematic project, but these documentaries are remarkable films too – with 56 Up being no exception. The film does a wonderful job balancing the personal portraits of the participants (this edition includes 13 of the 14 original participants agreed to be filmed – the most since 21 Up) with showing something of the society at large. While the original children chosen came from a cross-section of early ‘60s British culture (although there is only one non-white participant), they don’t come off as stereotypes – at least to American viewers. While the people range from working class through middle class to more well-to-do, they mostly just feel like folks living their lives. There is little sense of the people performing for the camera, unless you count Peter who admits to participating in order to promote his band (his folk-rock outfit The Good Intentions actually has a rather good sound). They actually don’t have much to be concerned about since everyone is presented in pretty positive light. In fact, one of the joys of 56 Up is that these people (old friends to regular series viewers) basically have achieved a certain level of contentment in their lives. While about half the people have been divorced, most of them have either remarried or are in relationships. Several others have enjoyed long marriages. It is heartwarming, for example, to see that Tony (a colorful East-Ender who once dreamed up being a jockey but has become a cabbie) has worked through his marital troubles and still is with the wife of over 30 years. One fascinating quality of the Up documentaries is how they utilize footage from the prior films. Besides letting viewers (first-timers or regular viewers) get a sense of these individuals as well as creating a quick montage of how people change and evolve over the years. Neil, for example, was a homeless wanderer at 28 and now he is a small town politician; however, the social awkwardness of his younger days is still part of him today. Suzy, who was sullen, chain-smoking young woman in 21 Up into an article woman with a husband, children and, what appears to be, a nice life. 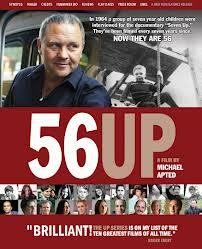 56 Up, like its earlier installments, holds a charmingly old fashion documentary quality. There aren’t any splashy TMZ moments or the tawdriness of the Real Housewives, Jersey Shore or Honey Boo Boo. While this might sound too reserved and too British, the terrific documentary succeeds because of its universality – by just showing regular people trying to survive with what life throws at them, the good and the bad.